Sporting events are very common and are held in schools, colleges and clubs at competitive levels and also at various other organisations for recreational purposes. Certificates are awarded at the conclusion of these events for various purposes like exceptional performances, good conduct as well as Certificate Templates of appreciation which are given to all participants. 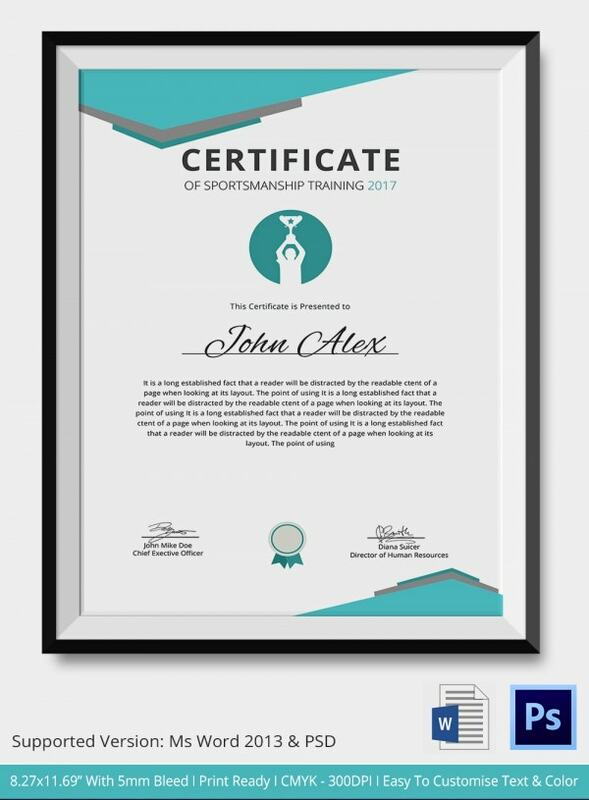 Designing these certificates can be complicated and tiring and hence we have compiled a list of sportsmanship certificate templates. 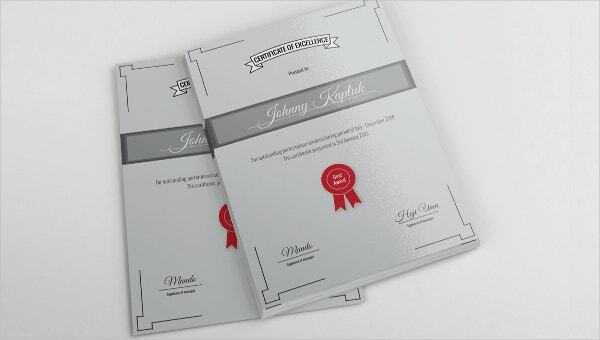 These templates can be used to make a variety of certificates and are very easy to customize and use. Click on the links given below the descriptions to check out the templates. 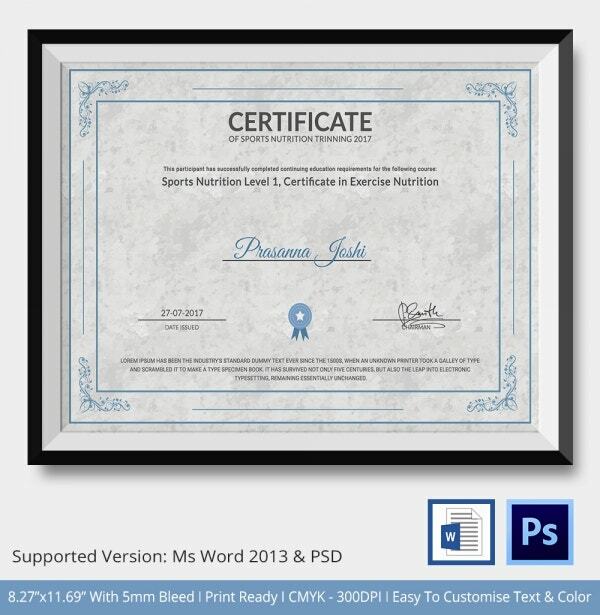 This sports nutrition certificate contains splashes of red throughout the template. That makes it look appealing to the beholder. Plus, the textual elements of the template look bold and well defined. Certificate Of Sportsmanship Training is a simple but beautifully designed template, and is available in 8.27” x 11.69” size. It offers a high resolution of 300 dpi and comes with CMYK color mode. Text and color can be customized as per your preference using both Adobe Photoshop and MS Word. It is print-ready as well. 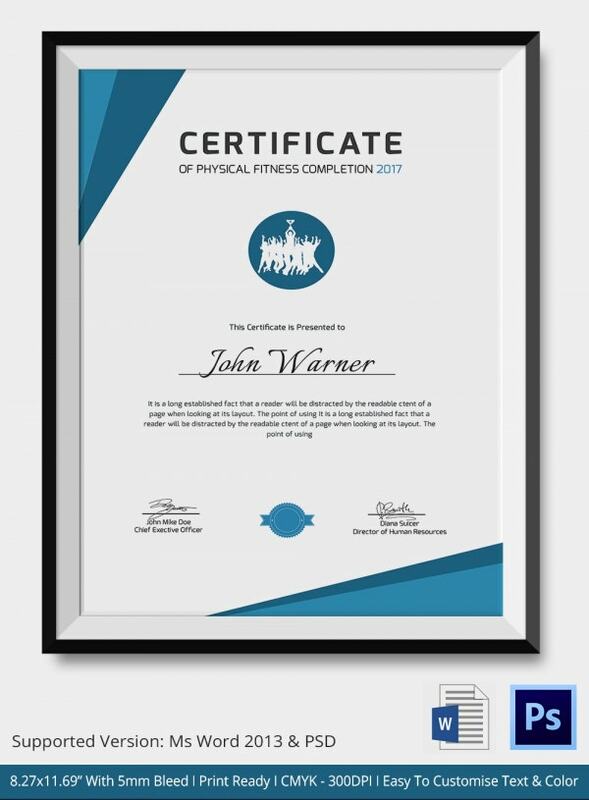 Certificate Of Physical Fitness Completion template is a simple yet beautifully designed certificate template. This print-ready template comes with 300 dpi resolution with CMYK color mode. It is compatible with both Adobe Photoshop as well as MS Word. So you can easily customize the text and color of this 8.27” x 11.69” sized template. 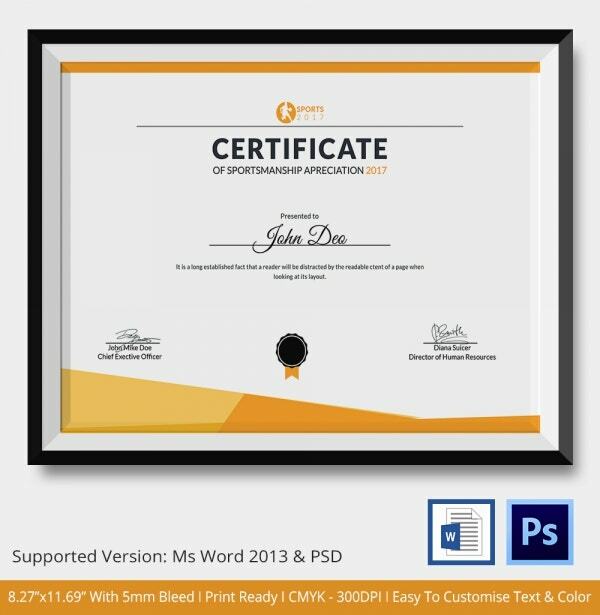 Certificate Of Sportsmanship Excellence is a neatly designed certificate template, and it offers a high resolution of 300 dpi with CMYK color mode. You can customize the text and color in this template using either Adobe Photoshop or MS Word. It comes in 8.27” x 11.69” and offers 5mm bleed as well. 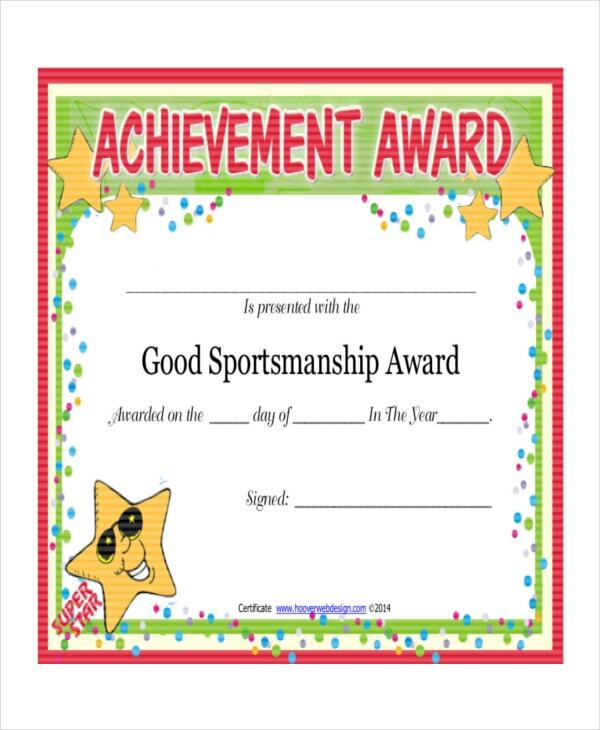 This Certificate Of Sportsmanship Appreciation template is 8.27” x 11.69” in size, and it is a mix of both professional and traditional educational looks. 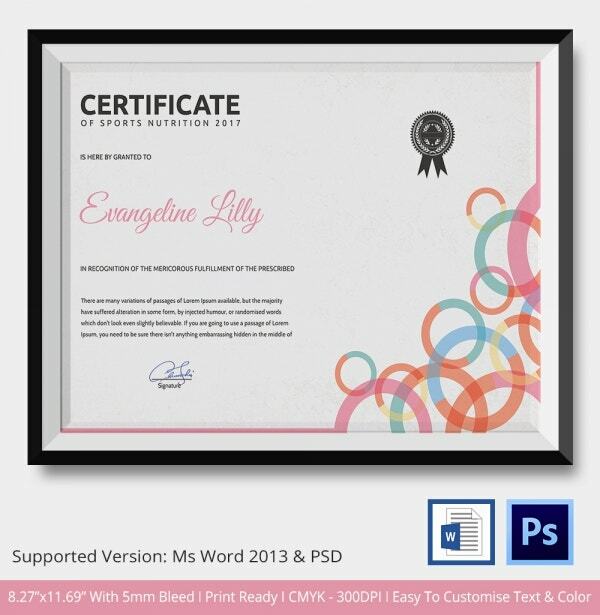 This elegantly designed print-ready certificate template provides detail with clarity and it is easily editable using both MS Word 2013 and Adobe Photoshop. It comes with a high resolution of 300 dpi with CMYK color mode. You can easily customize the text and color as per your design requirements. Certificate Of Sportsmanship Achievement certificate template is a stylishly designed template, and the minimal use of color and design gives it a fantastic look. It comes in 8.27” x 11.69” size and CMYK color mode. This print-ready template comes with a high resolution of 300 dpi, and the compatibility with Adobe Photoshop and MS Word allows you to customize the text and color as per your preference. 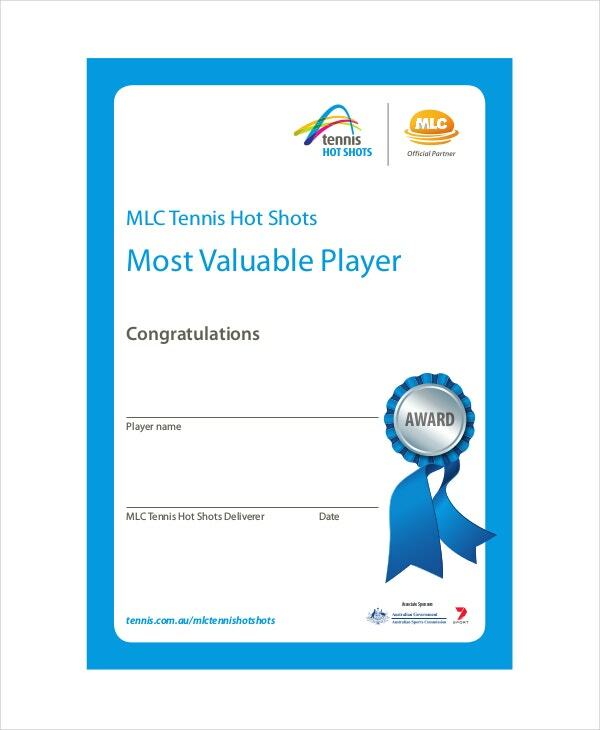 This sportsmanship certificate template can be used to create a certificate that is to be given to the most valuable player of the sporting tournament, i.e. the player who made the most contribution while playing. The name of the tournament and the title sponsor have to be edited in the certificate and the name of the player and the date of the tournament have to be written to complete the certificate. You may also see Medical Certificate Templates. It is a sportsmanship player certificate designed to make a certificate that will be presented to the team or the player that showed the best sportsmanship on the field which includes qualities like respect towards the opponent, least fouls committed, etc. To complete the template, the name of the player or the team has to be written along with the day, month and year of the tournament and signature of applicable authority. 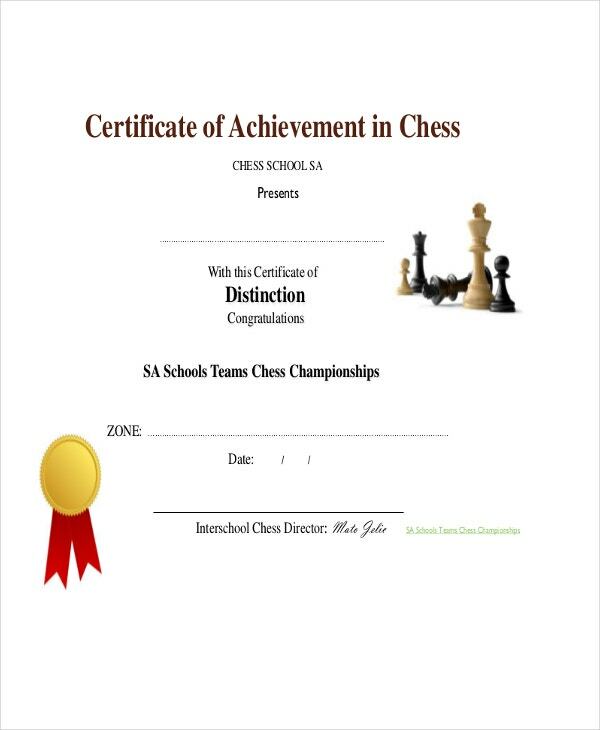 This sportsmanship certificate template contains various certificates especially designed for chess competitions. It includes certificates of distinction, higher distinction, best female player, fair play and sportsmanship, the best player of the tournament and participation. The name of the recipient has to be written along with the name of the zone where the competition is held, date of the tournament and signature of the head of the organising team. The name of the organisation organising the tournament also has to be edited. > Who Can Use the Sportsmanship Certificate Templates? Any school, college or educational institution which organises sporting tournaments can use these templates to be given at the conclusion of the tournament. It can also be used by clubs or governing bodies which organise sporting competitions at competitive levels for professional players. Companies which organise such competitions for recreational purposes for their employees can also benefit from these certificate templates.These certificate templates can also be used by organisations for no profit charitable events. You may also see Share Stock Certificate Template. > How to Use the Sportsmanship Certificate Templates? These templates are extremely straightforward and easy to use. Areas are well designed where you can put the name of the organisation or body that is organising the event. Also on the certificate, you can add the names of different sponsors of the tournament. Name of the event also has to be written. You may also see Training Certificate Templates. Rest of the area is to be filled by the name of the recipient of the certificate, whether an individual player or a team or a member of staff or volunteer working for the event. At the end of the certificate, are the signatures of different members of the authority which are usually members of the body organising the event. Creating a sportsmanship certificate on your own can be a lengthy and tiresome task. Designing it requires the knowledge of different digital software and might still take a lot of time. Sportsmanship certificate templates can solve all these problems for you. You just have to fill details like name of organizers, sponsors, recipient and date of the tournament, data. You may also see Share Stock Certificate Template. which is unique for every situation and in no time you get your sportsmanship certificates ready. Thus, a process which can take hours is completed in the matter of a few minutes. 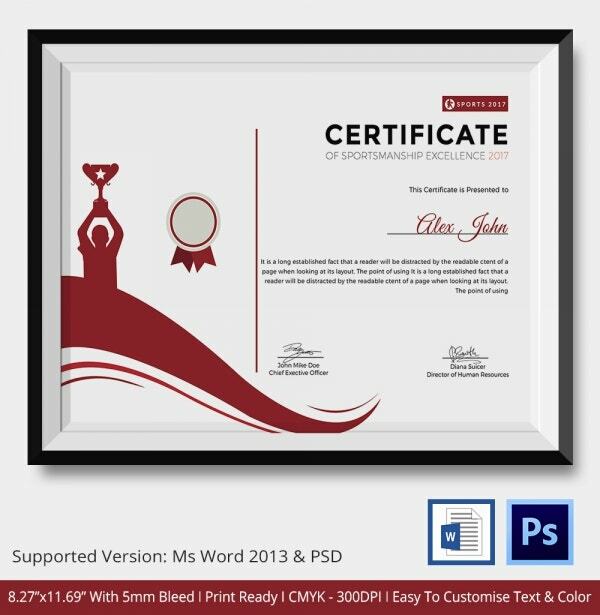 The certificate templates are very attractive and thus you can use them without having to customize their design. By making use of all the above-given information, you can easily make certificates by using the given prize certificate templates. 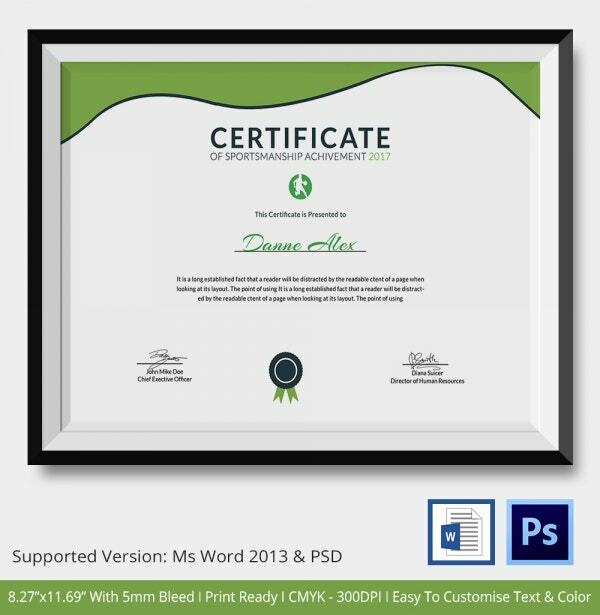 Making certificates can be a lengthy matter and these certificate templates help in saving a lot of time which would be required for designing the certificates. Choose the template that best suits your event and make certificates for it in no time.